The Boxers displayed here have been included with the permission of the owners/breeders FREE OF ANY CHARGES now or in the future as this Website will be ongoing as more Boxers are added. As there has been no expenses incurred by the owner/breeders only the Boxers have been displayed. Should you wish to make further enquiries regarding any of these Boxers, please click on the photo of the Boxer and details will be provided to the owners' web site, or email address. The owner and author of this site takes NO RESPONSIBILITY nor endorses the use of any of these Boxers for Stud purposes or the purchase of puppies, or any of the Boxers description/information/photos supplied by Owner/Breeder. The visitor should make all his or her own enquiries from the breeder/owner concerned. The owner and author of this site reserves the right to correct, alter, reduce, re-arrange or refuse, without prejudice, any Boxer and/or details submitted for inclusion on this site. The Boxers winnings on this site are submitted by owner/breeder. This site is simply to showcase the many Boxers in Australia, which have been recognised by the various judges, both Australian and International, for their quality. Although some have been sired by imported Boxers, they still come under the banner of Australian Bred, thanks must go to the breeders of these Boxers for having the hindsight to make this choice. 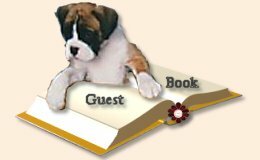 Any Australian Owner/Breeder who feels they have an Australian Bred Boxer/s of notable distinction and would like them featured on this Website please forward details to me (June Kelly) via email buttons at top/bottom of page.